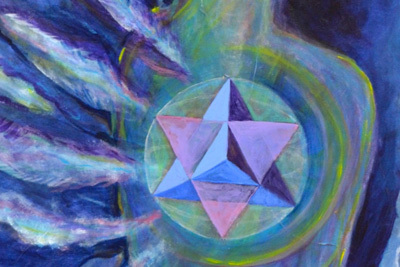 During the Vibration, Healing and Sound events we take you on a journey inward to your core, to help you ascend to higher vibrations and anchor new vibrations into the here and now. You are spirit in a body. When you work on your energy spiritually and activate the physical body at the same time you create new neural pathways. Let go of your Problems, transform and heal your issues and soar in the lightness of being. 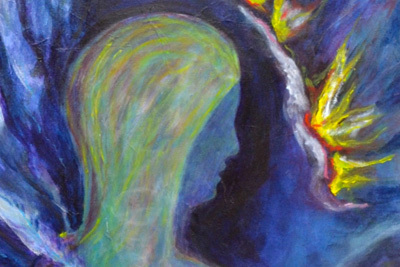 In these unique workshops you get to experience two different approaches to healing. With Johanna you will explore and transform issues you are facing right now in your life as well as an ascension journey to the heart of existence. 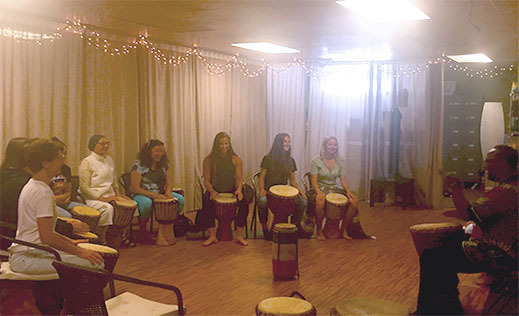 With Aaron you experience the world of drumming…. Focusing on rhythm is like saying a mantra and drumming is a form of meditation. For some it is the easiest form of meditation to learn. While drumming you will notice when your thoughts wonder because your rhythm gets lost. Should this happen you can pull your focus right back on the beat. This is often easier than trying to forcefully quiet your thoughts while sitting in silence. Also drums are the instrument that is associated with the heart chakra. The rhythm connects us to everything in life, the heartbeat of Oneness and unity. If we drum with the intent to connect to Oneness we remove separation, judgment, violence and war. Experience all your senses, emotions, and energy centers combining together into one big heart-opening experience. 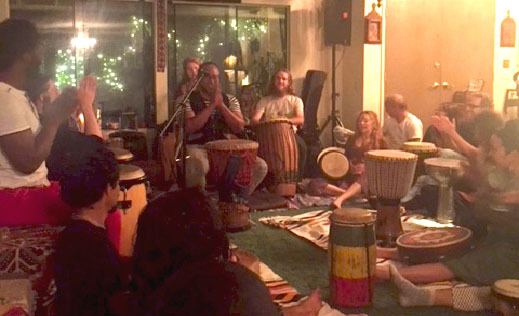 A magical afternoon of sound vibration, rhythmic drumming and energy healing taking you into the heart of creation. 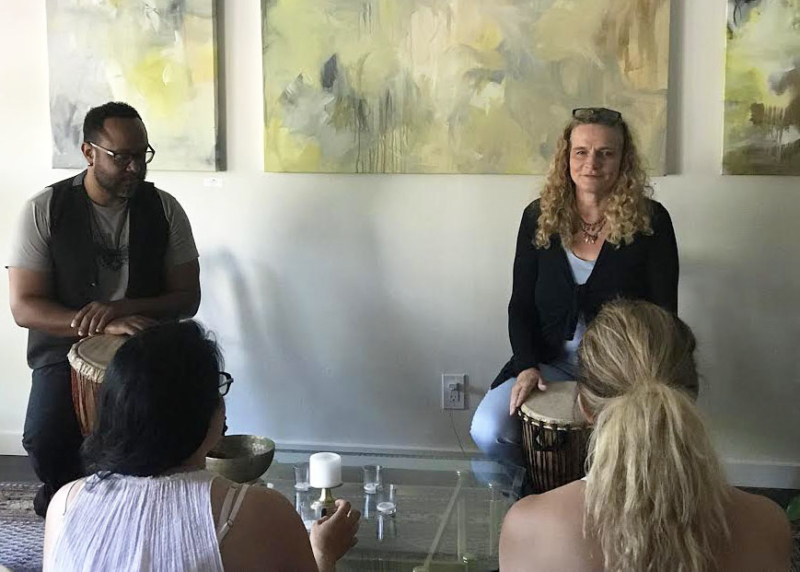 In a powerful and one of a kind combination experience acclaimed master drummer AAron Vereen, together with developer of the Quantum Heart Field Experience and best-selling author of The Transformation Promise Johanna Derbolowsky. You will be guided to enter the reality of pure heart energy. This is an interactive event. Please bring your favorite drum or reserve one for rent. Allow yourself to shift, leap and ascend into a new reality and life experience. AAron is an acclaimed master drummer who is known for mesmerizing and revitalizing his audience with his unique and fluent style of drumming. 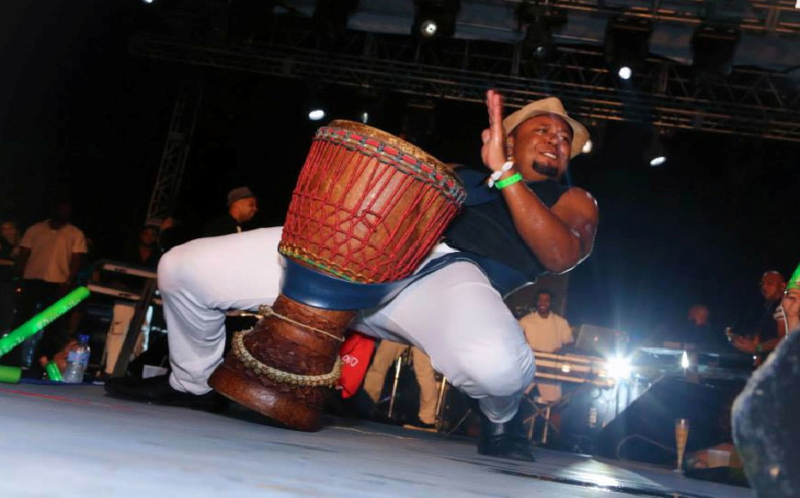 AAron’s natural talent for delivering electrifying performances caught the eyes of Rita Marley (wife of Reggae icon Bob Marley), who granted him the Rita Marley Foundation Scholarship to further his drum studies at The Noyam Institute of West African Dance and Drumming in Ghana, Africa. It was at this point that AAron deeply discovered the unspoken language of the drum, its ability to create inclusivity and promote social, physical and mental well-being. In 2012, Jamaica’s Minister of Culture selected him as part of its cultural contingent to represent the country in Japan for the reggae concert tour, Jamaica Rocks, and in 2013, he traveled to Australia where he lived among Aborigines and learned how to play the didgeridoo. 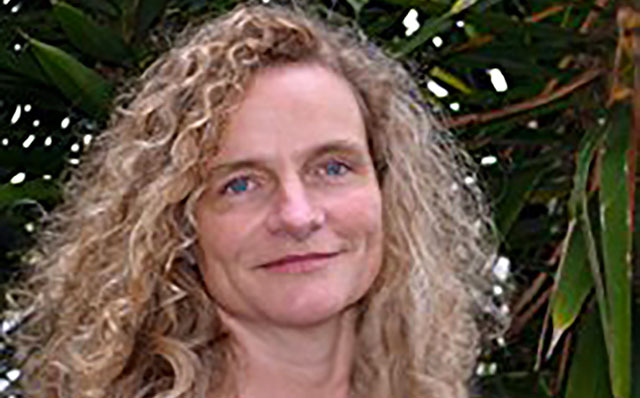 Johanna is the author of The Transformation Promise, developed the Quantum Heart Field Experience as an easy-to-learn way to transform life’s situations through connection with high frequencies. Join Us At Next Event!